The following question was recently posted on a TMS chat room. "Once you have identified the repressed emotion what have you found is the best way to work with it to get it to stop expressing as TMS?" The most effective (in fact, the only effective) way known to modern neuroscience for losing the emotional sting which goes with either repressed or unconscious traumatic memories, or repressed negative aspects of our current experience, is captured under the term 'reconsolidation'. This is achieved by a process which changes how the brain stores away (consolidates) our experiences into the memory system. Upsetting experiences are easily consolidated and stored as they contain useful information for survival purposes- the emotional distress (with cognitive and physiological aspects) which they contain can then 'repeat' on a person forever, unless s/he undergoes a re-consolidation experience- this is what happens for a PTSD sufferer. During the reconsolidation process, the emotion experienced at the time of the process becomes 'built into' the autobiographical memory, such that the new laying down of the memory also contains the new emotional (more positive) context in which it was reconsolidated. Reconsolidation therapies will deliberately help the person to have a different, more positive experience during the process- this is not achieved by just telling people to be more positive, or to just let go of negative emotions or memories. The reconsolidation experience can result in many different ways, but there are some specific characteristics of the experience that neuroscience research demonstrates must be in place for the process to work. Firstly, the person must be in touch with the distressing experience, and must re-experience it in all its emotional/cognitive/physiological fullness. 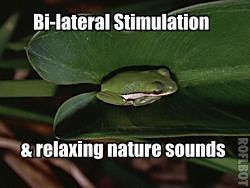 (This is achieved in EMDR via the set-up procedure which occurs prior to the bi-lateral stimulation. In Coherence Therapy, this is done via inviting the client to imaginally re-experience the upsetting event). Some people will criticise this as rehashing past negativity, but it is an essential step in the reconsolidation process (which, if successful, will result in no emotional distress in relation to a bad incident). Some people will cope with being in touch with the distressing event on their own just fine; but other people will be re-traumatised by doing this, and therefore will need the assistance of a therapist experienced in working with psychological trauma. Some people state that they are able to do 'inner-child work' on their own. What they report sounds very much like successful self-applied reconsolidation- the result is that they no longer feels upset about the memory. It is also known that reconsolidation can occur spontaneously at times as well, with no prior expectation or knowledge that this is what is happening. I am sure there are many people who, from a certain spontaneous experience, went from being highly distressed about something only to have the distress melt away like snow balls on a hot plate. The second requirement of successful reconsolidation is that there needs to be an experience of dis-confirming emotional knowledge. This needs to be more than just an intellectual knowledge, and explains why approaches like CBT often don't work above placebo rates. The change needs to occur in the emotional brain (ie. limbic system and mid-brain areas), and not in the neo-cortex (thinking brain). Some people will be able to provide for themselves an emotional experience which disconfirms the emotional knowledge associated with the upsetting event, eg. " I am worthless and unlovable". People have described going to their upset 'little boy' and giving him some of the nurturance he needs (all in the imagination, which the brain does not distinguish from reality) . This is an example of a different emotional experience (which effects the emotional brain- whereas the neo-cortex is indifferent to it), and which violates the emotional 'knowledge' obtained in the distressing event via a juxtaposition of expereinces- one is emotionally upsetting ("I am unworthy and unlovable"), while the other is emotionally uplifting (eg. seeing the young you being supported, loved, etc). Both of these experiences need to be felt, ie. a cognitive awareness of them is not sufficient to create reconsolidation. When these two conflicting emotional knowings can be held together (and actually experienced, rather than just thought about), then reconsolidation can be 'launched'. The brain/mind needs to resolve the conflict between these two knowing by letting one go. With reconsolidation processes, the connections between the brain cells which form neural pathways are able to actually disconnect, and then reconnect with a new emotional learning. This can then result in the person remaining aware that the bad experience happened, but no longer feeling the distressed emotion which has typically gone along with it. It is a succession of these bad experiences (and their emotional/cognitive/physiological components) which result in problems like poor self worth, extreme pessimism, fear of people and the world in general, chronic pain (and the associated anxiety, panic, anger, rage, depression etc that you would expect to go along with these). It is likely that any one distressed or pained person will need to have more than one reconsolidation experience to overcome their syndrome- but, bit by bit, this is entirely possible and regularly happens in effective therapy. Where spontaneous reconsolidation does not occur, and where the person is not able to initiate their own reconsolidation experience (either because their trauma is too great, or they dont know how to), then certain types of psychotherapy are able to achieve this outcome. These are not therapies which remain working on only a cognitive level, such as CBT. 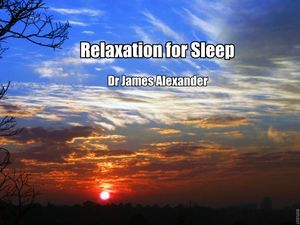 Nor does it include the other excellent approaches such as mindfulness, Acceptance & Commitment Therapy, regular meditation, or other calming soothing techniques- as great at these are in their own right, all they can ever achieve is a counteracting of the distress, never a complete resolution (I discuss this further in the final chapter of 'The Hidden Psychology of Pain', and give these approaches the thumbs up for all sorts of reasons, but not because they will resolve chronic pain as they generally will not, unless they accidentally trigger a spontaneous reconsolidation experience). The types of psychotherapies which are capable of producing reconsolidation experiences are referred to as 'transformative', as opposed to counteractive therapies. 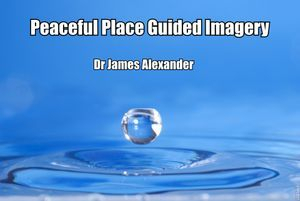 The list includes EMDR, Gestalt therapy, Emotion Focused Therapy, brief psychoanalytic therapies, Emotional Freedom Techniques, Hakomi, Interpersonal Neurobiology, inner child work, Accelerated Experiential Dynamic Therapy, NLP (this is not an exhaustive list) . Coherence Therapy is designed by Ecker & Hulley to specifically replicate the reconsoldiation process as uncovered in the neuroscience labs with animal and human subjects. The fact that Professor John Sarno's psychologist colleagues had success in resolving chronic pain in patients indicates that the therapy they use also creates reconsolidation. There appears to be many paths to this type of emotional/psychological transformation via reconsolidation (while some approaches just wont do it, unless by fortuitous luck). The much touted 'book-cure', which most therapists have seen with TMS books, is also an experience of reconsolidation, although this appears to occur via cognitive information (some cognitive information can be loaded in emotional implications for people). 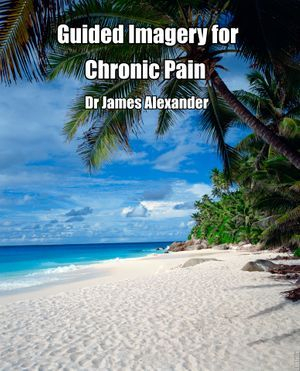 Where most people in our culture have been emersed in the the dominant culture of bio-mechanics (aka 'the mechanistic bias'), which explains all chronic pain in relation to structural pathology, we have built up a solid 'understanding' of what generates chronic pain. This is our 'pain schema', and includes theories of causation as well as expectations about its outcome. When people come across TMS information for the first time, it can be such disconfirming information (vis-a-vis the mechanistic bias information) that a spontaneous reconsolidation can occur. This will be aided by the person's ability to apply the TMS model to themselves, and see what unconscious forms of distress could be relevant to their chronic pain. This will never happen to the person who is not seriously considering the model, as their emotional brain is not engaged in the information which they are processing- to them, it is just data, and perhaps dodgy data at that. And when it comes to making changes in the emotional brain, data will not do the job. Information which holds a degree of emotional importance to the person has a chance of effecting this change.